A lot has happened in the year or so since I wrote this book. More than usually happens in a year. Thanks to technologies like the computer, the modem, interactive media, and the Internet, we no longer depend on printed matter or word of mouth to explore the latest rages, innovations, or discoveries. By the time a story hits the newstands, most insiders consider it “old news” and are already hard at work on the next flurry of culture-bending inventions and activities. 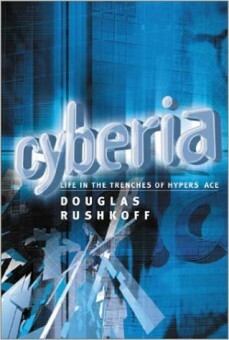 Cyberia is about a very special moment in our recent history — a moment when anything seemed possible. When an entire subculture — like a kid at a rave trying virtual reality for the first time — saw the wild potentials of marrying the latest computer technologies with the most intimately held dreams and the most ancient spiritual truths. It is a moment that predates America Online, twenty million Internet subscribers, Wired magazine, Bill Clinton, and the Information Superhighway. But it is a moment that foresaw a whole lot more. This book is not a survey of everything and everyone “cyber” but rather a tour through some of the regions of this new, fledgling culture to which I was lucky enough to gain access. Looking back, it is surprising to see how many of these then-absurd notions have become accepted truths, and disheartening to see how many of the most optimistic appraisals of our future are still very far from being realized. Cyberia follows the lives and translates the experiences of the first few people who realized that our culture was about to take a leap into the unknown. Some of them have succeeded beyond their wildest expectations and are now practically household names. Others have met with catastrophe. Still others have simply faded from view, their own contributions to the cyberian renaissance already completed. The people in this book, and thousands of others like them around the world, understand the implications of our technologies on our culture, thought systems, spiritual beliefs, and even our biological evolution. They still stand as the most optimistic and forward-thinking appraisers of our civilization’s fate. As we draw ever nearer to the consensually hallucinatory reality for which these cyberians drew the blueprints, their impressions of life on the edge become even more relevant for the rest of us. And they make more sense.